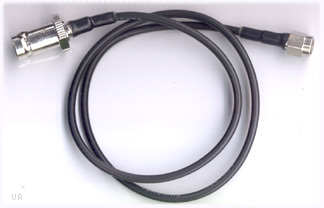 As you add antenna accessories to your radio system, you will require coaxial “jumper” cables. 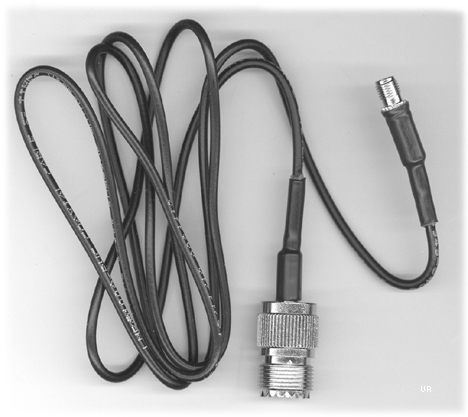 If you add an antenna switch, a preamp or antenna tuner, you will need a jumper to connect the accessory to the antenna input of your radio. 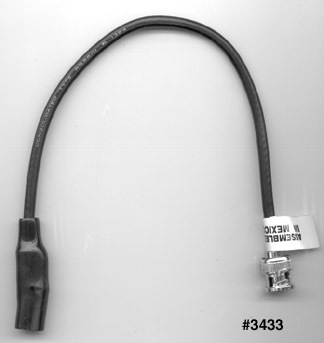 This is an important component of your antenna system. Don’t let your jumper be the “weakest link” in your monitoring installation. 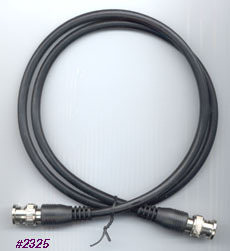 Universal offers a complete line of quality coaxial jumper and lead-in cables. 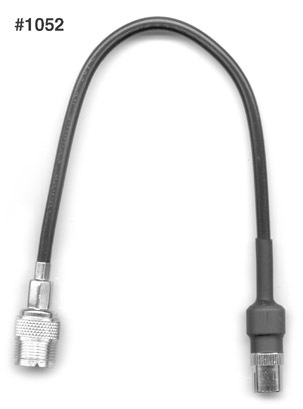 RG-8X combines flexibility with low loss, and is clearly the most popular cable type for HF receive and transceive (under 200 watts) applications. The non-contaminating jacket is gray. This cable has an outside diameter of 0.242 inches. LMR®-240-UF is the same 0.242 inch diameter and flexibility as regular RG-8X, but is much lower loss, double shielded, and UV resistant. 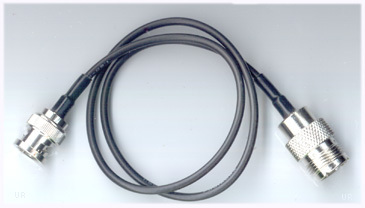 These cables use genuine Times Microwave LMR®-240-UF Ultra-Flex cable. The quality Lands Precision PL-259s and BNCs are silver coated and silver tipped. The tip is soldered. LMR®-240-UF combines very low loss with great flexibility. Assembled and individually tested by Universal Radio. LMR® is a registered trademark of Times Microwave Systems. 240-UF is the same 0.242 inch diameter and flexibility as regular RG-8X. But it has 30% lower loss and is double shielded. The 96% TC braid and second bonded 100% foil shield reduces noise interference. It features a non-contaminating UV resistant, direct burial jacket. The center conductor is stranded. Heat shrink tubing is applied at each PL-259 to help weatherize the connector. 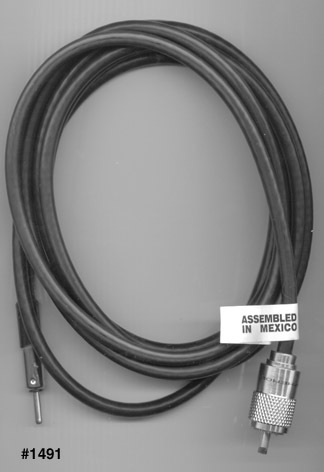 These high quality cables are assembled in Texas by ABR Industries with American made coax. RoHS compliant. 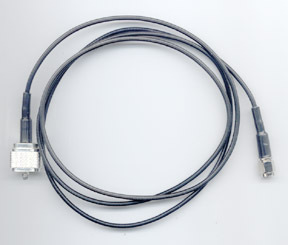 NOTE: This is LMR-240 type cable. It is not LMR-240 made by Times Microwave. LMR® is a registered trademark of Times Microwave Systems. 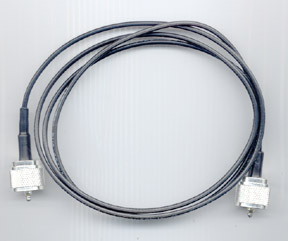 400-UF is a thicker cable at 0.405 inch diameter (same as RG-8). But it has very low loss and is double shielded. The 96% TC braid and second bonded 100% foil shield reduces noise interference. At 10 MHz nominal attenuation per 100 feet is only 0.5dB, power rating is 4800 watts and it is 89% efficient. It features a non-contaminating UV resistant, direct burial jacket. The center conductor is stranded for great flexibility. 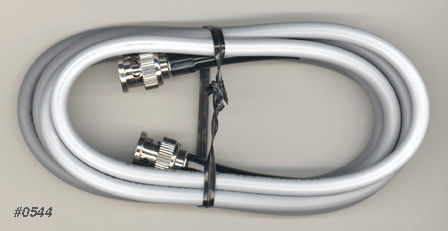 Heat shrink tubing is applied at each PL-259 to help weatherize the connector. 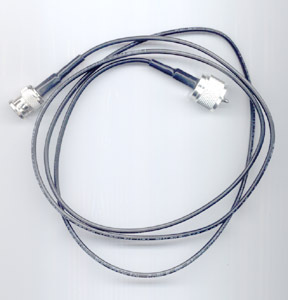 These high quality cables are assembled in Texas by ABR Industries with American made coax. RoHS compliant. 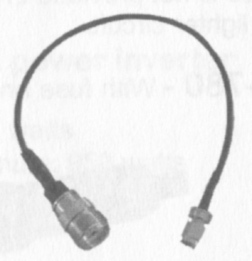 NOTE: This is LMR-400 type cable. It is not LMR-400 made by Times Microwave. LMR® is a registered trademark of Times Microwave Systems. RG-213/U (Mil-Spec) is expensive and thick (0.405 inch diameter), but if you are running high power and/or are concerned with loss, RG-213 may be just what you are looking for. At 10 MHz nominal attenuation per 100 feet is only 0.6dB, power rating is 3400 watts and it is 87% efficient. It has a non-contaminating, UV resistant, direct burial, 97% braid, mil-spec black jacket. It has a solid polyethylene dielectric. VP: 66%. 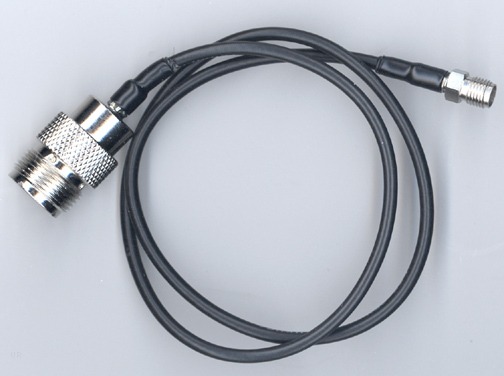 Heat shrink tubing is applied at each PL-259 to help weatherize the connector. 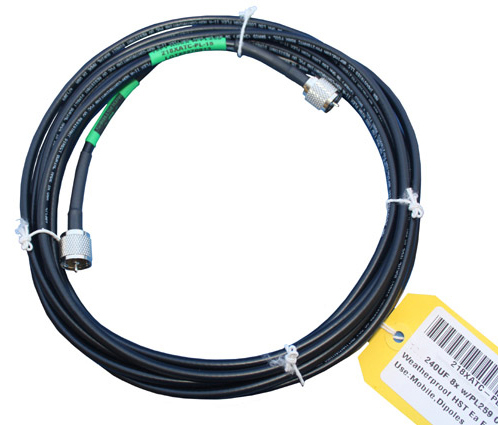 These high quality cables are assembled in Texas by ABR Industries with American made coax. RoHS compliant. 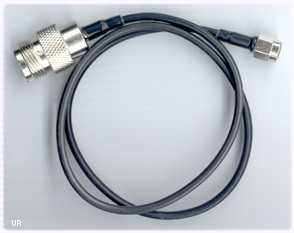 RG-59 preassembled coaxial cables are used for some VHF-UHF applications and as general hook-up cable for video and test equipment applications. 70 ohm. 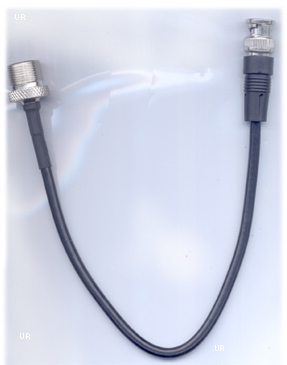 RG-58 preassembled coaxial cables are used for HF and other hook-up applications. 50-52 ohm. #5244 RG-58 6 foot PL259 to PL259 Not available. Use RG-8X #3848. 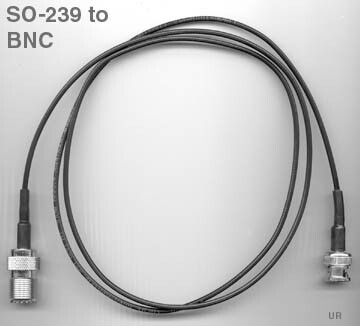 RG-58 10 inch KOK to SO-239 UNIV Not available now. 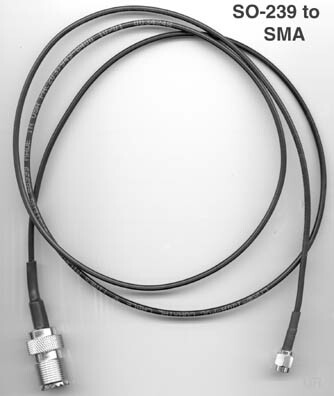 LMR-100® preassembled coaxial cables are thin and very flexible. Although, the same size as RG-174, the LMR-100 is far less "lossy". 50-52 ohm. LMR® is a registered trademark of Times Microwave Systems. RG-174 preassembled coaxial cables are thin and very flexible. 50-52 ohm. Copyright 1999-2019 Universal Radio, Inc.